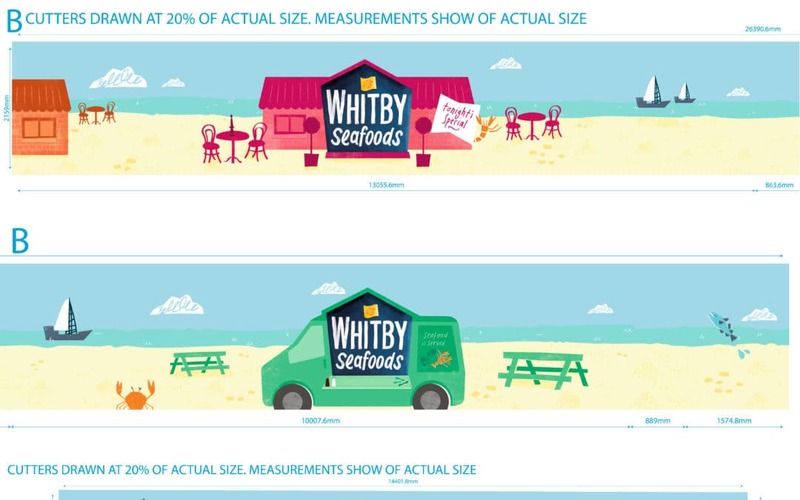 Vinyl Signs were approached by the marketing department at Whitby Seafoods to print & install various wall wraps along the long linking corridors in the factory to brighten up their interior decor. 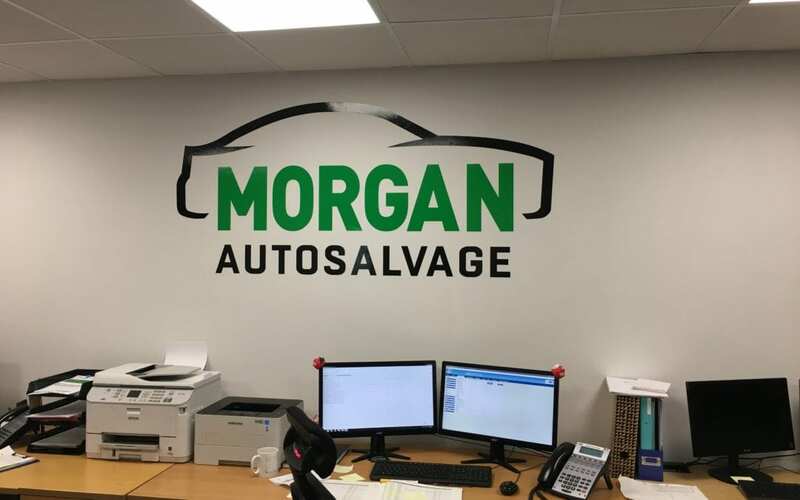 Along with the total re-brand of the signage at Morgan Auto salvage including vehicle graphics we carried out interior signage which included an office wall decal which gives the company a branded identity. 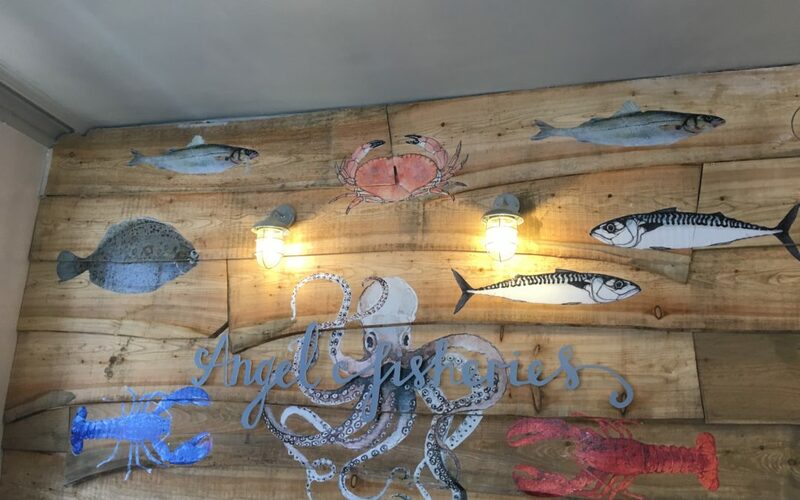 We were approached by Rebecca at Angel Fisheries to come up with some new signage for the interior re-decoration, various sign making techniques were used from vinyl lettering, flat-cut 3D, wall wrap and digitally printed menu signboard.